A classic trope of the private-eye story is the seemingly straightforward investigation that takes an unexpected turn. 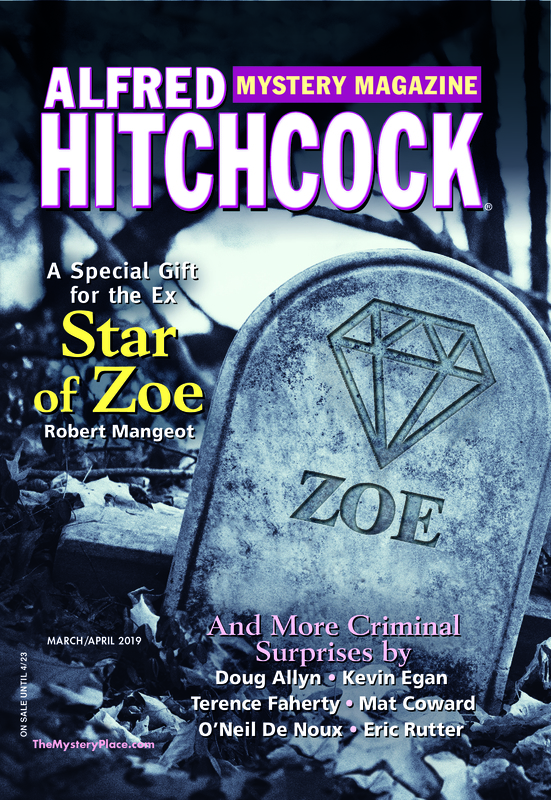 This month’s issue of Alfred Hitchcock’s Mystery Magazine features two fine examples with “Heathen Springs” by James L. Ross and our cover story “Lovers and Thieves” by Charles John Harper, in which kidnapping and adultery lead to unexpected places. You can always expect an entertaining story from Alfred Hitchcock’s Mystery Magazine!